Andrew Luck Fantasy Outlook 2018: Bargain or Bust? In this article, Gridiron Experts Derek Wiley tries to refresh your memory on Colts gunslinger Andrew Luck. He talks about team’s 2018 coaching changes along with Andrew Luck’s Fantasy draft value for the upcoming 2018 NFL season. The last pass Andrew Luck completed in an NFL game was a 1-yard game-winning touchdown to his Tight End Jack Doyle, against the Jacksonville Jaguars on January 1st, 2016. That was over 870 days ago. Over that same time span, Donald Trump has taken over as President, Roseanne and American Idol have returned to television, and Yanny and Laurel have become debate topics. It has been a long time since Luck has thrown. Because of that, he has plummeted down draft boards and is not close to being drafted as the top 5 QB that he used to be. There is an understandable concern to drafting him. However, the good news is, I’m here to tell you that you need to take Andrew Luck as your QB1 in 2018. You will not find better value in the 2018 class of quarterbacks than you will with Andrew Luck. According to FantasyPros.com, Luck’s ADP is 96. In the 12 team league that puts him right at the top of round 8. He has averaged being the 11th QB taken in most Fantasy Football Leagues. FantasyPros also shows Luck to have the 6th easiest schedule among quarterbacks. In the 4 seasons that Luck has played at least 15 games, he has averaged 4,299 passing yards and 29 passing touchdowns. This would have put him 5th in yards and tied for 4th in TDs in 2017. You also can’t forget the rushing skills that Luck possesses. He has averaged 311.5 rushing yards and 3.5 rushing touchdowns per season. He would have finished 9th among QBs in rushing yards (just 1 yard behind Marcus Mariota), and 8th in rushing TDs. The passing and rushing numbers would have given him 340 points would have made Luck the number 2 QB in scoring in 2017. He has average 14 INTs per season over the same 4 year period. This would knock his total down to 312 which still keeps him as the QB2. What’s Changed For The Colts? 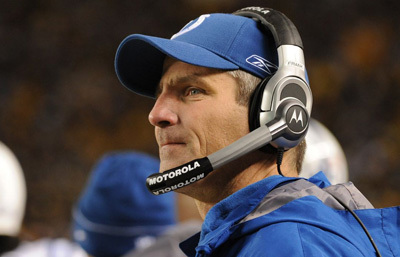 Frank Reich becoming the head coach of the Indianapolis Colts is a great news for Luck. Reich is coming off of a Superbowl win with the Philadelphia Eagles as the Offensive Coordinator. Reich was with the Colts as the Quarterbacks Coach in 2009 where he helped Peyton Manning put up career numbers at the time. He would become the Offensive Coordinator of the Chargers from 2013-2015 where he led Philip Rivers to 13,556 yards passing (3rd most during that span), 92 touchdowns (4th most), and a 67.3 completion percentage (2nd best). In 2016 Reich became the Offensive Coordinator of the Eagles and began the development of Carson Wentz. In 2017, before the injury, Wentz had thrown for 3,296 yards, 33 touchdowns, and just 7 interceptions. Reich has the offensive mind to open things up more for Luck and help him to a career year. Despite everything pointing to Andrew Luck having a great Fantasy season, the question still looms about his shoulder. Back in September of 2015, Luck sprained his shoulder and missed two weeks before returning. In September of 2016 reports came out that Luck was dealing with a fraying labrum. Ryan Grigson denied these reports at the time. During the 2016 season, Luck appeared on the injury report on a weekly basis with a shoulder issue. On January 19, 2017, Luck had shoulder surgery. He was expected to return for the 2017 season with no problems. However, he ended up missing all of training camp and preseason. Colts GM Chris Ballard promised Luck would be back for the 2017 season. But that wasn’t the case, as Luck then sat out of practice until October. 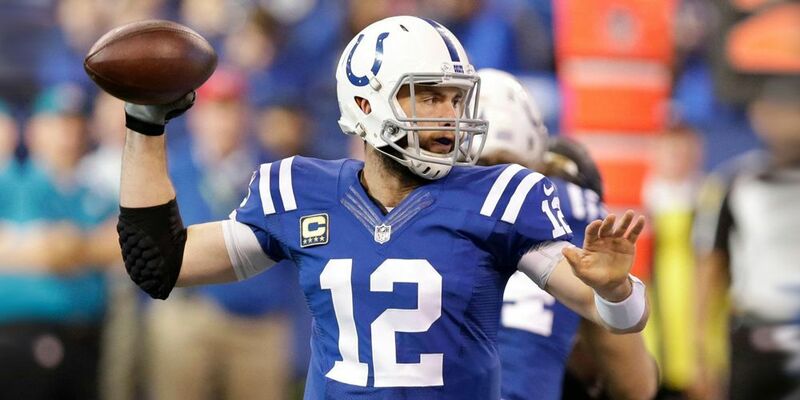 In October, Luck started practicing and throwing. This lasted a short time because he started feeling pain in his throwing shoulder. He stopped throwing and practicing and began to seek a second opinion. On November 2nd, 2017 Andrew Luck was finally placed on IR. There is no doubt Luck has talent, but what 2018 boils down to is your trust what Andrew Luck and the Colts are saying about him returning this season? If you want to take a chance, you could find real value late in your Fantasy Draft. If you are going to take a shot on Andrew Luck’s Fantasy return this season, maybe think about investing in an insurance player that can allow you some breathing room. Philip Rivers, Matt Ryan, and Matthew Stafford are all going in the 9th round in fantasy drafts. If you do draft Andrew Luck, I would suggest picking a quarterback in the following round as well. Normally, you don’t need to worry too much about a backup quarterback as you could always grab someone off the waiver wire, however, just in case Luck is slow out of the gate due to his recovery period, investing in some fantasy football QB insurance wouldn’t be the worst idea.